this weekend was a blur but thank GOD for digicams i could look back to things i did! lol! i miss you all!!! especially my bestie ysabs!! it's been so long!! i hope to spend more time with them.. SOON :) i'm so glad bing, kai and ysabs arrived for the "meeting" coz i miss them oh so much!! thanks to elder jean, hazel and pam for "observing" the "meeting". thanks to iya for "presiding the "meeting." thanks to jay and jeff for being the "photographers that day. 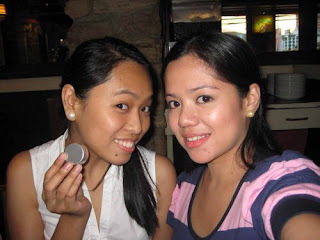 thanks to cheska's bf for giving cheska a digicam that makes us all look pretty in every shot. thanks to gayle for bringing her goodies! thanks to joanna for ordering from moi! thanks to cheska for dropping me at cinco hermanos. :) lol! thank GOD rin for friends here ONLINE!! without you guys, my life will spell B-O-R-I-N-G!!! bestie, can't wait for her own mmu!! i do wish we could all be complete again. nonetheless, this day rocks!! 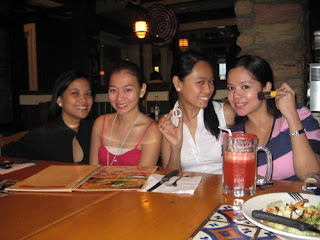 now, i suddenly miss my girlfriends..
holy smokes! 15 legal forms? I can only imagine the pain on your wrists and fingers. bilangan tayo! joke! sobra di mabilang 'tong sakin. Gusto ko nga rin i-check yun... pero sayo talaga ako bibili. Gusto nga rin bilihin yung s5 na primer o baka papabili rin ako nung monistat. 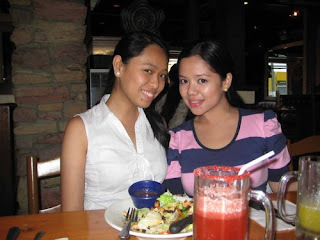 alin mas maganda sa kanilang dalawa? liz, thanks! it made me look skinny than usual. i gotta go back to quiapo to buy more. lol!